The club is delighted to introduce a new ladies section to complement the well-accomplished girls section for the 2016 season. It was always planned for the club to have a ladies section and we are delighted that the town’s current ladies team decided to join us. Chairman Tameena Hussain who has part co-ordinated the move says “Wanting to make ladies cricket locally sustainable long-term, it made sense to come here to enable girls to continue through the ranks at one club”. The ladies team was established in November 2013 and has continued to expand its horizons, not least by joining a league last year. This season will provide more of the same but with a bigger focus on future plans developing ladies cricket. The team started out with absolute beginners, so experienced or not, you are welcome to attend our training sessions and take part. Play for fun or play in matches, the call is yours. We just ask you to come and have a go. We start training on Monday 25th April from 7pm at the club. For further info, please contact: Email the Ladies Chairman or 07810 642669. The Cricket Club is situated in the beautiful village of Bray, Berkshire, on the banks of the Thames, overlooked by the Church of St Michael. The main ground is widely acknowledged as one of the most picturesque in the country. Goyals is a family owned business that has been supplying school uniforms in the Berkshire and Buckinghamshire area for more than 40 years, including Maidenhead, Windsor, Slough, Burnham, Taplow and Marlow. Raise some money for the club by making your Amazon purchases through our site. Click on the link below and it will take you to the Amazon site where you can make your purchases. A percentage of your purchase will be provided to the club at no cost to you, its as simple as that!! Berkshire Cricket is the governing body for ALL cricket within the County of Berkshire and one of the leading non-professional Counties in England, recently enjoying substantial success on the field with both men and women's County teams. Claires Court, an Independent School in Maidenhead, Berkshire, offers a unique education from Nursery to Sixth Form. Welcome to Marlow Cars, we buy and supply prestige marques, specialising in Bentley. We stock over 60 prestige motors cars at any one time making us one of the largest independent in the UK, this includes Rolls Royce, Aston Martin, Porsche, Range Rover and Mercedes. Established for over 30 years offering wide model choice and variation, our extensive market knowledge, resources and customer care provides an unrivalled service. Omega Electrical Services are an independant company that can offer a wide range of electrical services at any location throughout the UK. We are based in Maidenhead with a 2000 sq ft manufacturing facility that has easy access to both M4 & M40 motorways. DOC Building Facilities Ltd (Degrees of Comfort) began in 2005. We have grown from strength to strength since then and believe our success is due to our commitment in providing high quality and cost effective solutions to our clients. They specialise in the supply of building and construction materials to contractors and end users. Working closely with some of the biggest manufacturers and distributors in the UK they give an unrivalled service to customers who require building products. Trading for over 100 years on the same site in Furze Platt, Maidenhead, Exlers Garage has established a reputation for quality workmanship and customer care second to none in the local area. Material from this website may not be copied or distributed, or republished, uploaded, posted, or transmitted in any way, without the prior written consent of the owners of said content. Please get in touch with Club Admin for further details. 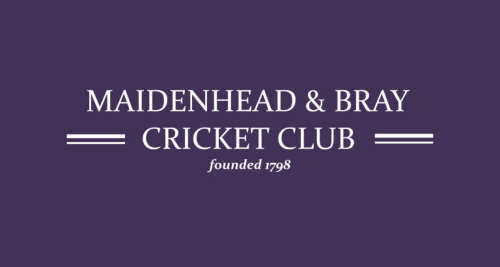 Maidenhead and Bray Cricket Club takes the protection of the data we hold about you as a member seriously and are committed to respecting your privacy. This notice is to explain how we may use personal information we collect and how we comply with the law on data protection, what your rights are. We will not retain your personal data for longer than is reasonable and necessary for the purposes for which it was collected. 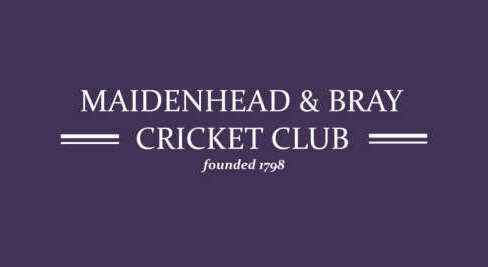 We shall retain your personal data for such time as you are registered with Maidenhead and Bray Cricket Club as a member. 2 years after you cease to be a member of Maidenhead and Bray Cricket Club or play an active part in the Club, we shall delete your data. Collect information about how visitors use our site. We use the information to compile reports and to help us improve the site. The cookies collect information in an anonymous form, including the number of visitors to the site, where visitors have come to the site from and the pages they visited.